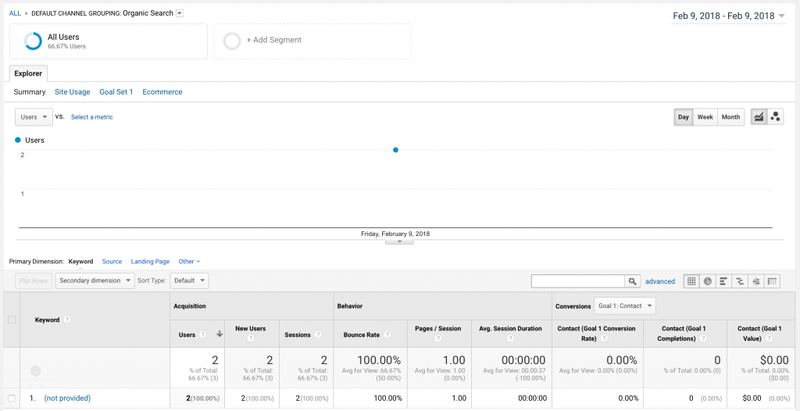 Google Analytics is a great tool to gather data and insights into the visitors on your website and their behavior. Since 2011, Google stopped providing access to many keywords that users search for when they visit a website. These keywords show up as (not provided) on your Google Analytics property. As I was going over my Google Analytics data for search traffic from Google, I realized the majority of my keywords from visitors show up under the heading of (not provided) which isn’t helpful to say the least. Getting access to the (not provided) keywords is extremely important as it helps figure out the search queries that a website ranks for and can be used to make the content on landing pages more relevant & improve on-page SEO for better website search rankings. 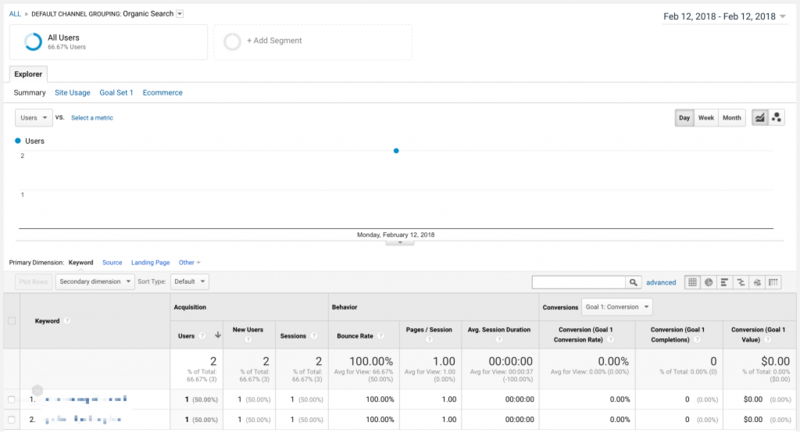 You can manually try to figure out the search query with an organic visitor by matching your Search Console data with your Google Analytics data date-wise but as your grow, it’s not a scalable solution. I found a quick solution to address this problem. The only caveat is that it won’t work for past/historical data. The solution is Keyword Hero. Create an account by logging in using your Google account, select the Google Analytics property you want to access the (not provided) data for, choose the corresponding Search Console property and you’re set. Keyword Hero creates a new version of your Google Analytics property while keeping your original Google Analytics property intact. The newly created Keyword Hero property unlocks the (not provided) keywords for you. Here’s a comparison of my Google Analytics data with and without Keyword Hero and you can see the (not provided) has been unlocked. The dates are 3 days apart as Google Search Console provides delayed data. Keyword Hero has revolutionized SEO for me and I couldn’t be happier. It’s only been a day but I’ve been kicking myself for not setting this up earlier. If you’re looking for a kickass deal on Keyword Hero, there’s a lifetime deal running right now on AppSumo. Here’s a link for Keyword Hero (affiliate) with upto 95% unlocked keywords on Google Analytics. The Giant Hero plan normally costs $29 a month but you can have it right now for a one-time fee of just $49.